Both state and federal law prohibit used car dealers from taking advantage of potential buyers by failing to disclose certain types of damage, falsely claiming to have made repairs, or refusing to honor a valid warranty. Mileage fraud also falls under this category and occurs much more often than most people realize. In fact, the National Highway Traffic Safety Administration (NHTSA) estimates that consumers lose between four and ten billion dollars every year due to mileage fraud. If you purchased a vehicle and have reason to believe that the dealer tampered with its mileage, it is important to speak with an experienced used car fraud attorney who is well-versed in both state and federal law and can help you seek compensation for your losses. 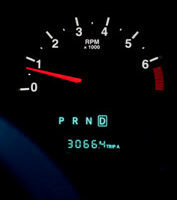 Mileage fraud occurs when a person tampers with the odometer on a vehicle. Aside from tampering with the actual odometer, dealers who are involved in these types of scheme also often fraudulently alter the car’s title, which includes information about a car’s mileage at the time of transfer. In some cases, a dealer may even go so far as to create a false history of transfers to a fictitious dealership, which can make it difficult to determine who was actually responsible for the mileage rollback and title alteration. Alternatively, a dealer could destroy a car’s original title documents outright and then obtain duplicate certificates, upon which lower mileage numbers are then entered. Once this title is obtained, the dealer can attempt to sell the car for more than it is actually worth. This is extremely dangerous for consumers, who could end up buying a vehicle that appears to have low mileage, but suffers from all of the problems of a high mileage vehicle. Private individuals who alter the odometer readings on their own cars to cheat on a warranty or defeat a provision contained in a lease contract. It can be difficult for victims of mileage fraud to hold private sellers accountable, as it is much easier for these individuals to lie about their identity. Used car dealers, on the other hand, can be held responsible for committing mileage fraud, regardless of who was responsible for the alteration. Under federal law, consumers can collect damages totaling three times the amount of their losses, or $1,500, whichever amount is greater. If you purchased a used vehicle and later found out that it was a high mileage car, although its title reflected a low figure, you could be eligible for compensation. Please contact dedicated Philadelphia used car fraud lawyer Louis S. Schwartz at CONSUMERLAWPA.com today to learn more.